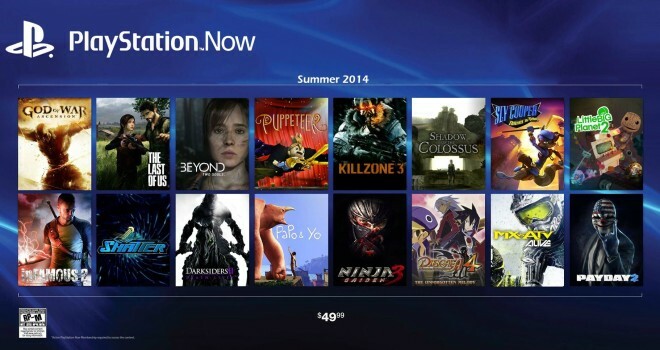 According to a supposed leaker, Playstation Now will cost gamers an additional $49.99 on top of the $49.99 cost they already have to pay for Plus. Alongside the price, supposedly the service will be launching this Summer with some very high profile games such as Beyond 2 Souls, The Last of Us, and God of War Ascension. As you can see in the featured image above, the service is reportedly launching with all kinds of awesome Playstation 3 titles, but most will agree that the price asked for this service is much to steep to warrant the subscription. Now, this rumor is actually one of those “Reddit situations”, where an anonymous source supposedly leaks the information, but it is important to note that there is a limited, closed private Beta going on for the service right now in North America, so it’s definitely not beyond the realm of possibility that this could be real. But still, take it all with a huge grain of salt. Is there any of you out there who would be willing to spend $50 for this service? Let us know down below. Gaminrealm, why do you post every rumour at the corner of your eye? Or is that the HD version? if so then why isn’t it the HD collection that contains ICO as well? I hope Nintendo News doesn’t steal this. Ok I just want to know how is this bad by any means, people who already own a certain game has no need to stream it so why complain?. Most people pay 23$ a month for gamefly and are limited to 2 games per month.. If This comes out to be 50$ a year this will be amazing. 100$ a year for ps plus and also for a streaming service which allows you to play last gen and previous gen games is a win win. If you dont like it, dont buy it, but complaining just seems a little ridiculous.